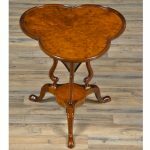 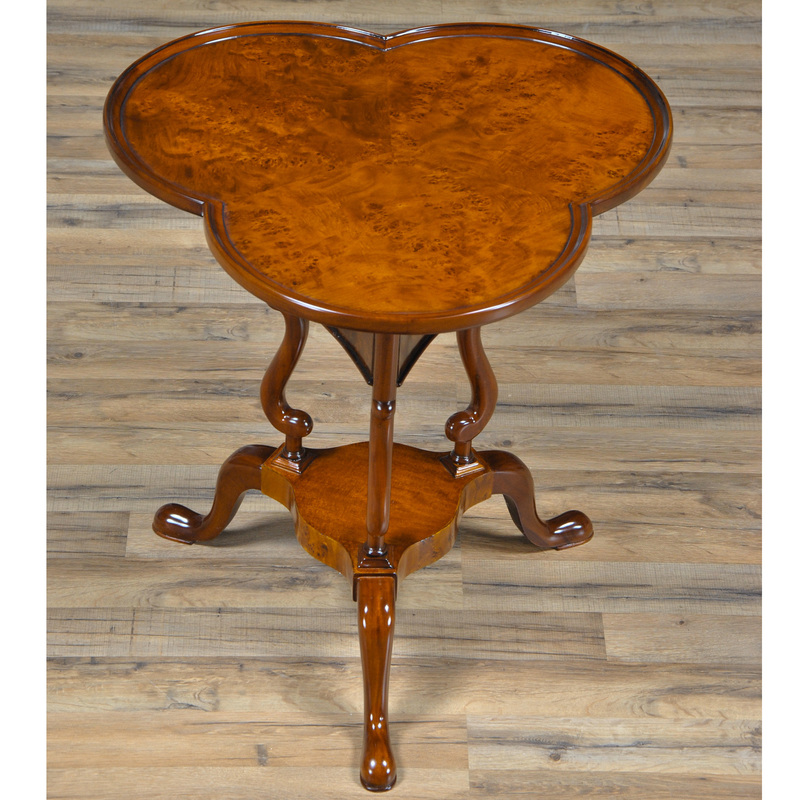 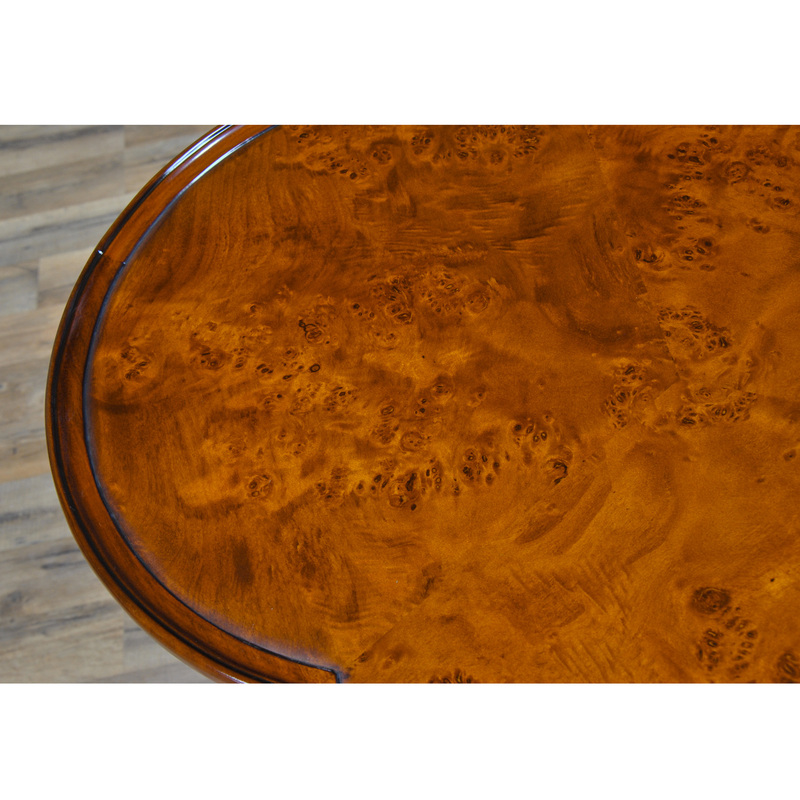 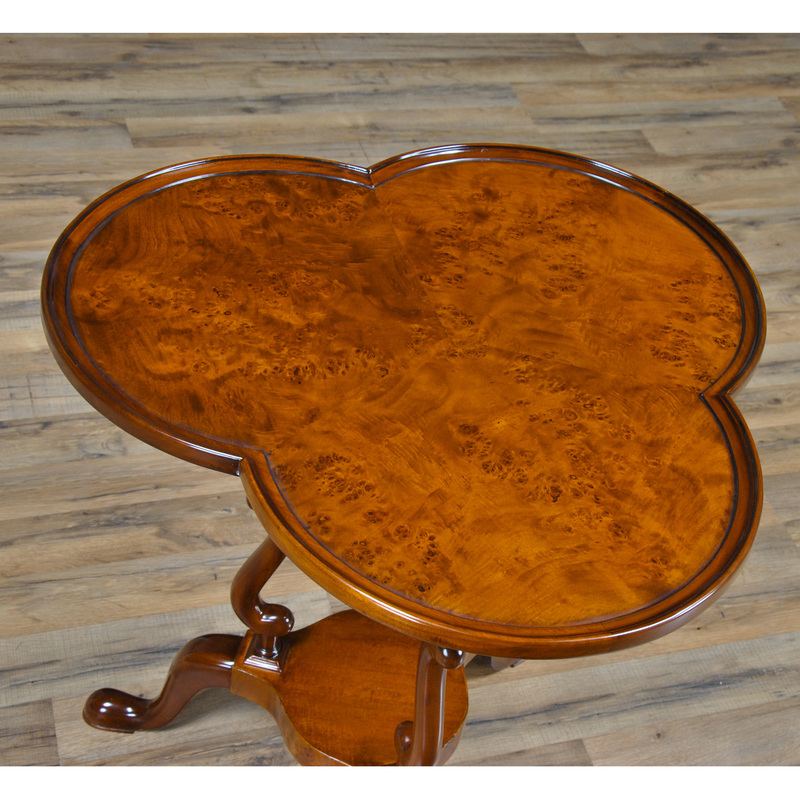 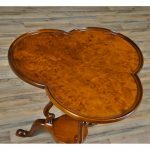 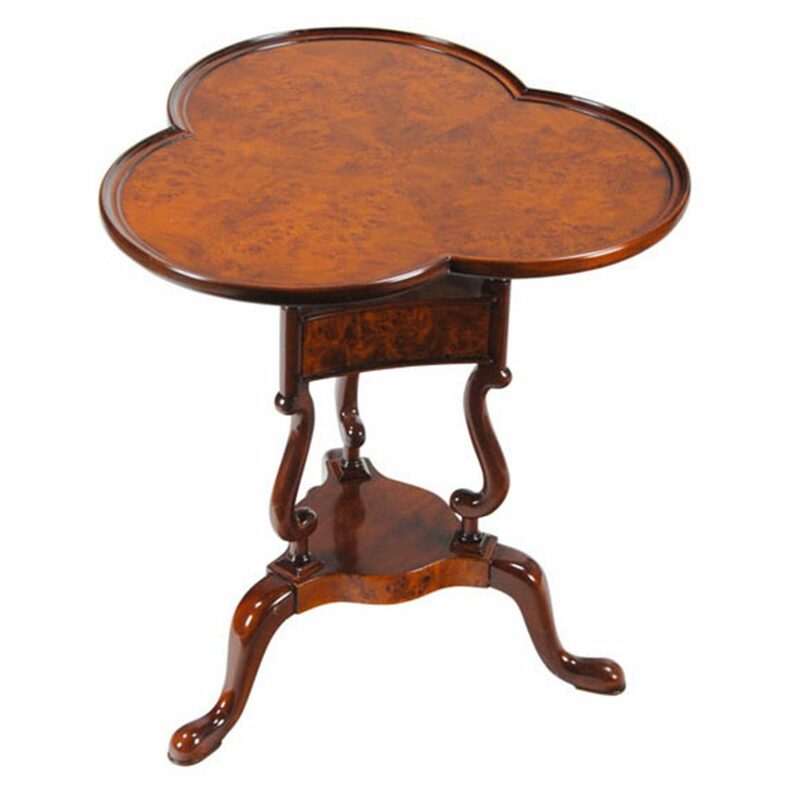 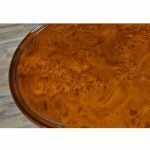 A high quality, clover top shaped Burled Clover Table produced by Niagara Furniture. 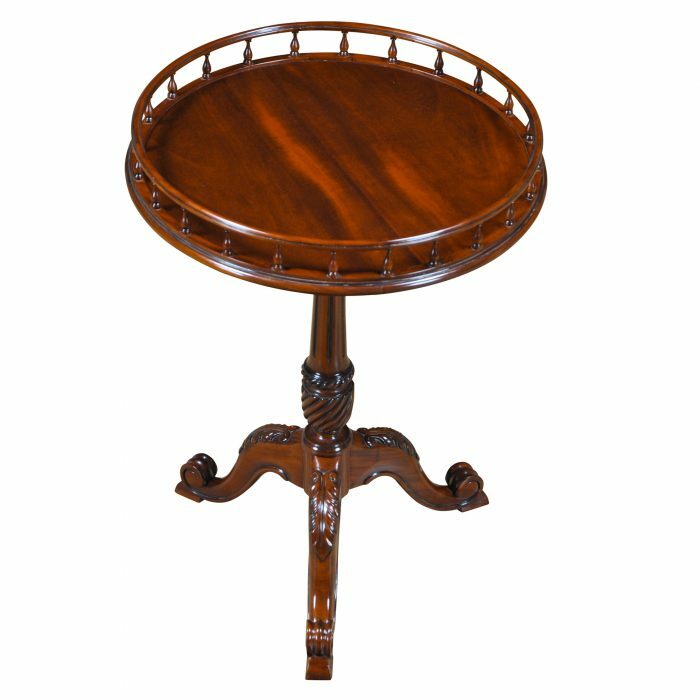 Also traditionally referred to as a wine table. 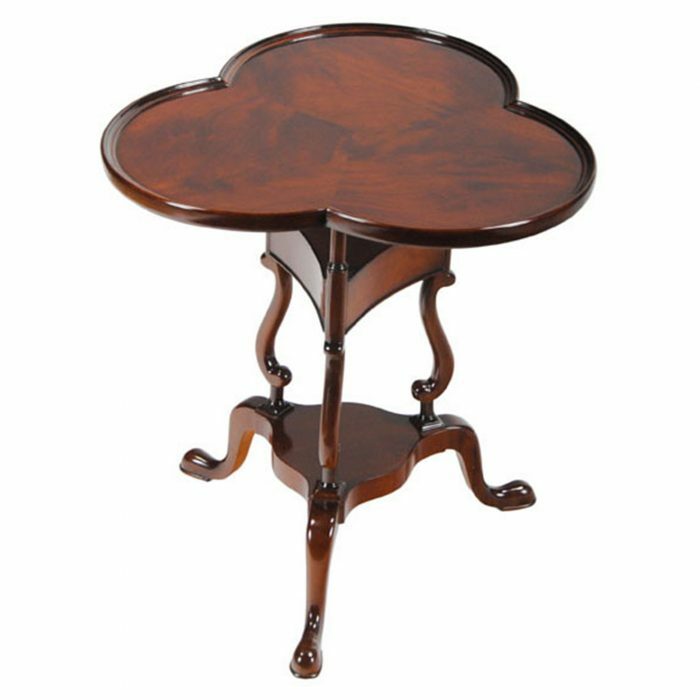 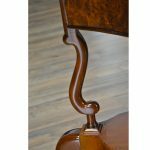 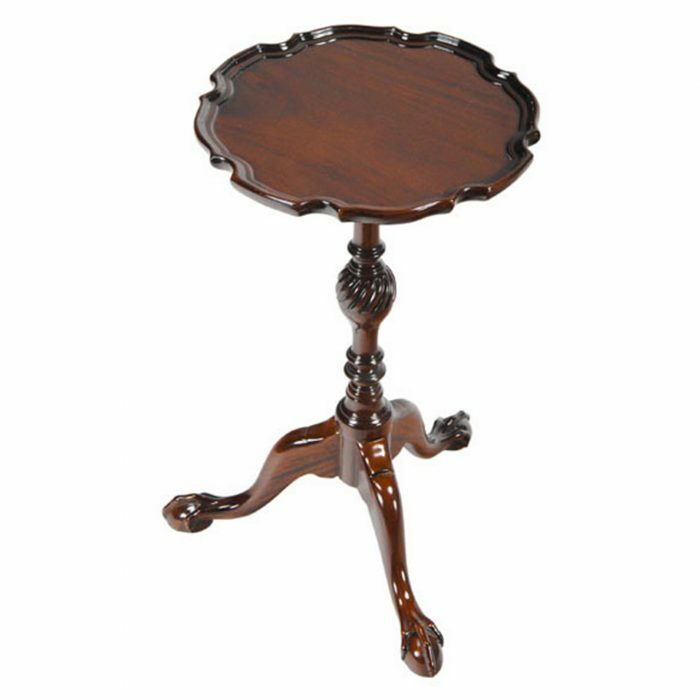 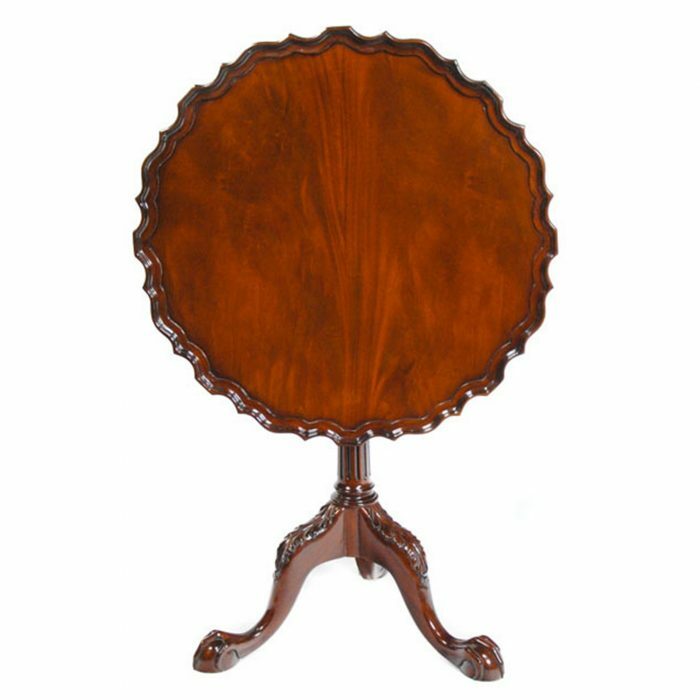 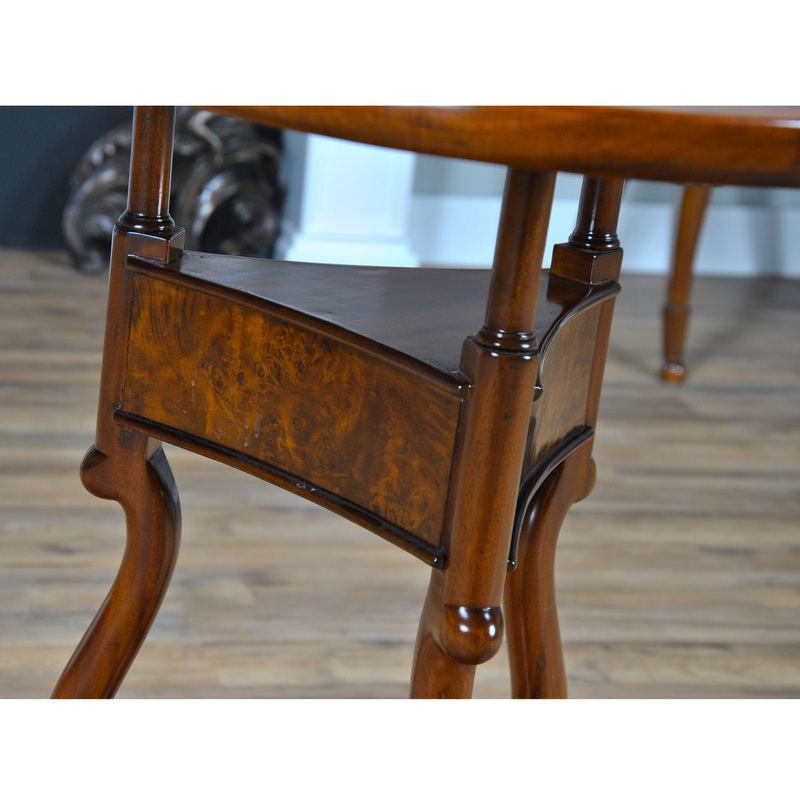 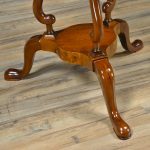 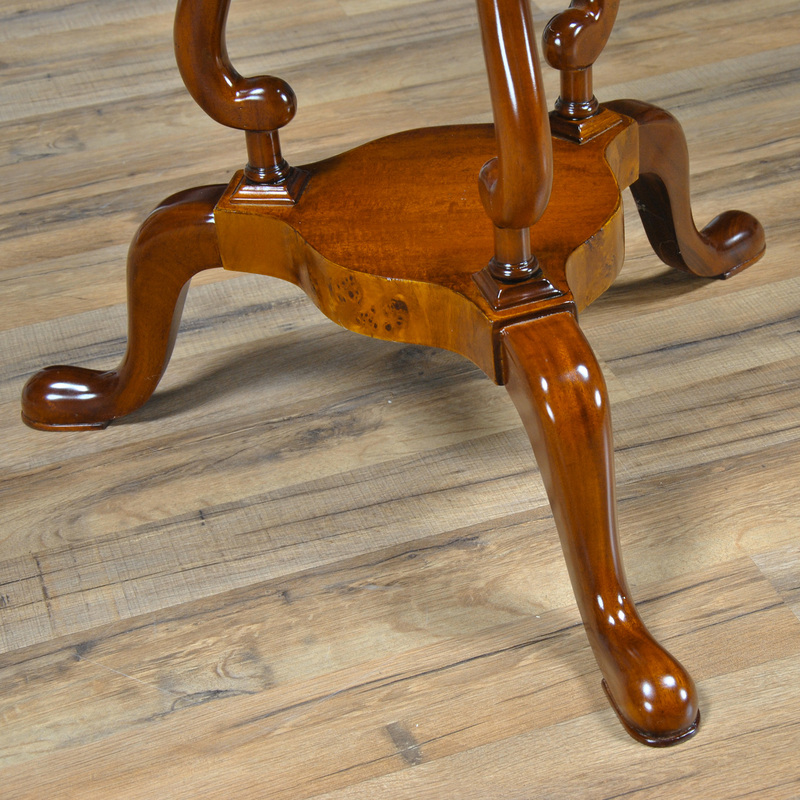 Beautifully shaped and presented top, supported by curved and shaped supports and resting on three solid mahogany legs, dovetailed into the center platform for added strength and stability.